It is important for all visitors of any home to remember that a dog feels very connected to their family. Some dogs may act differently when the adults (leaders) are not present. As you interview and get to know the family, ask about the dog. Meet the dog and be sure it will follow your directions and is friendly. Find out what rules and routines are already in place. 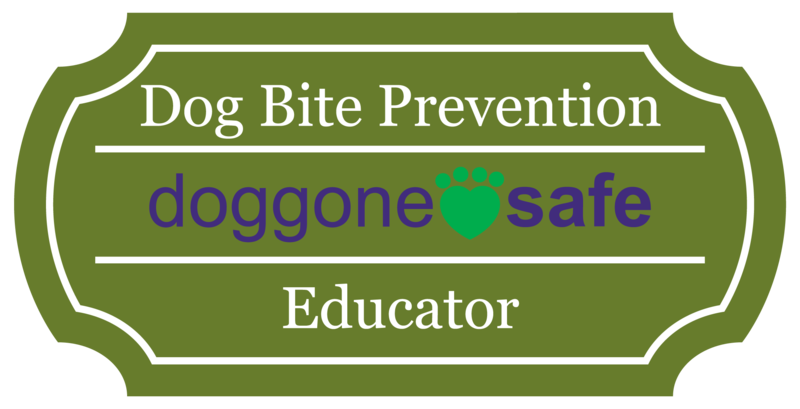 Ask about a dog zone or an area for the dog to be where he is comfortable and safe while you focus all of your attention on the children. If you have any fears of dogs or are intimidated by a family dog then ask that the dog be confined or taken with the parents while you babysit. Dogs pick up the body language of fear and this may lead to an uncomfortable experience for all. If there is a dog in the home that you are comfortable with and it is free about the house please keep the following in mind. Some dogs guard items such as food, toys, rawhides and pig’s ears especially. It is NEVER ok to leave a child and dog together alone! Dogs must be on a leash or fenced in when outside. Some dogs are afraid of thunder. They may act differently during a storm. Have a plan! Chasing games with a dog are NOT safe. Children should not play any games with the dog while the parents are out. Dogs get excited by lots of noise and activity such as jumping, dancing and usual toddler activities. It is best to direct the dog to a quiet place with a treat for him to enjoy. Hugs can make dogs uncomfortable. Scratching ears, petting side of head are great alternatives. Observe the dog’s reaction and follow their lead. It is ALWAYS a good thing to know where the dog can go in case you or he becomes uncomfortable. Instead of grabbing his collar, use a treat to lure him to the designated spot. A higher value treat such as cheese or hot dog or a potato chip may work better than a biscuit. Most dogs are wonderful and very friendly. It is always best to prevent any potentially dangerous situation from happening. 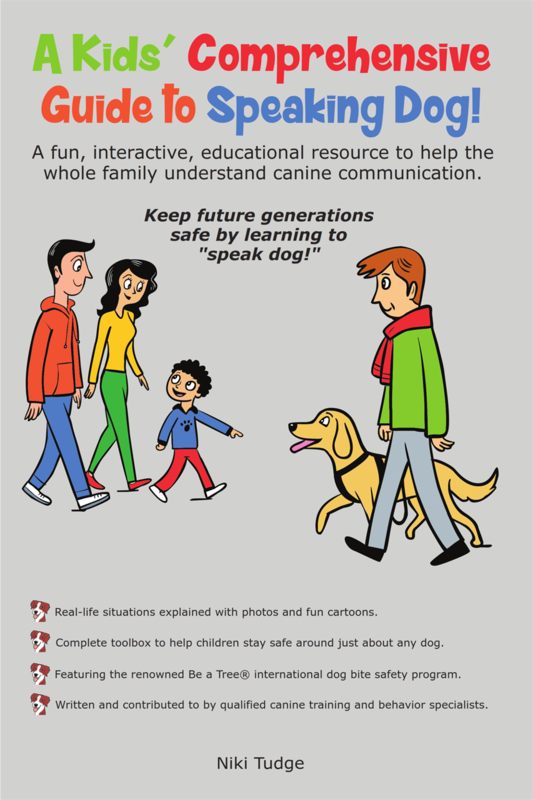 Having a plan and understanding dog communication sets everyone up for success. For further information and to see photos of the dog body language described above please visit our body language information page. Have fun and stay safe! Here are our babysitter rules. We suggest that you post these on your fridge and go over them with the babysitter and with your kids if they are old enough. The baby (and other children) are never left alone with the dog even for a second. 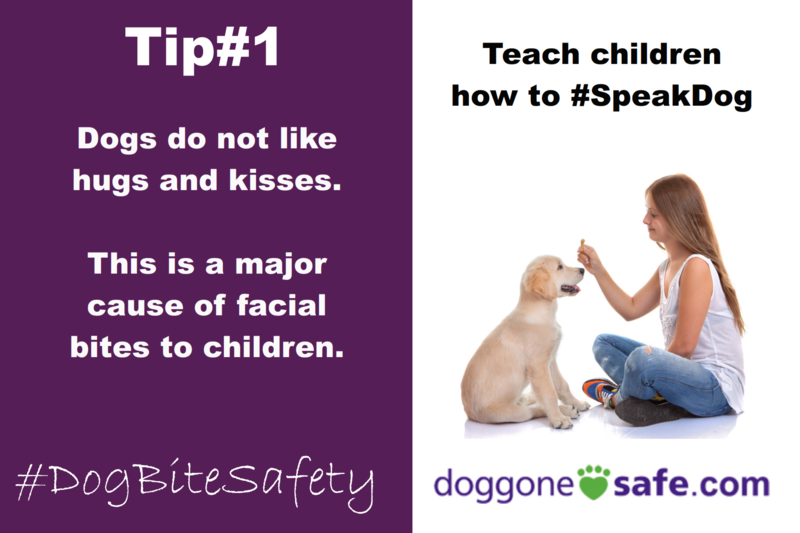 In order to gain compliance from the dog the babysitter should use treats rather than force. Dog should not be bothered when eating, sleeping, chewing on something or in his special place. Children may not interact with the dog when the parents are not home. The babysitter has the right to refuse to look after the dog and to ask that the dog be confined or taken with the owners. If you are outside with the children, never allow them to interact with any dog, even if they know the dog, or the owner says it is OK. If you are outside with the children and see a loose dog in the distance, take the children back indoors, or leave the area in a calm manner. If a loose dog approaches, instruct the children to Be a Tree. That is stand still, fold their branches (hands folded in front) and watch their roots grow (look at their feet). The babysitter should be a tree as well. Stay still until the dog goes away or help comes. If the dog returns, resume being trees.